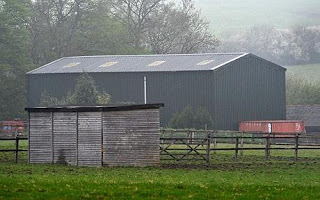 Mr Beesley was granted permission to build a barn for agricultural use only but fitted it out as a luxury house complete with three bedrooms, a study, bathroom, lounge, reception area, storeroom and gym. A very common phrase, but it becomes odder and odder the more you think about it. Uh… I don't see how it's odd. Can someone enlighten me?